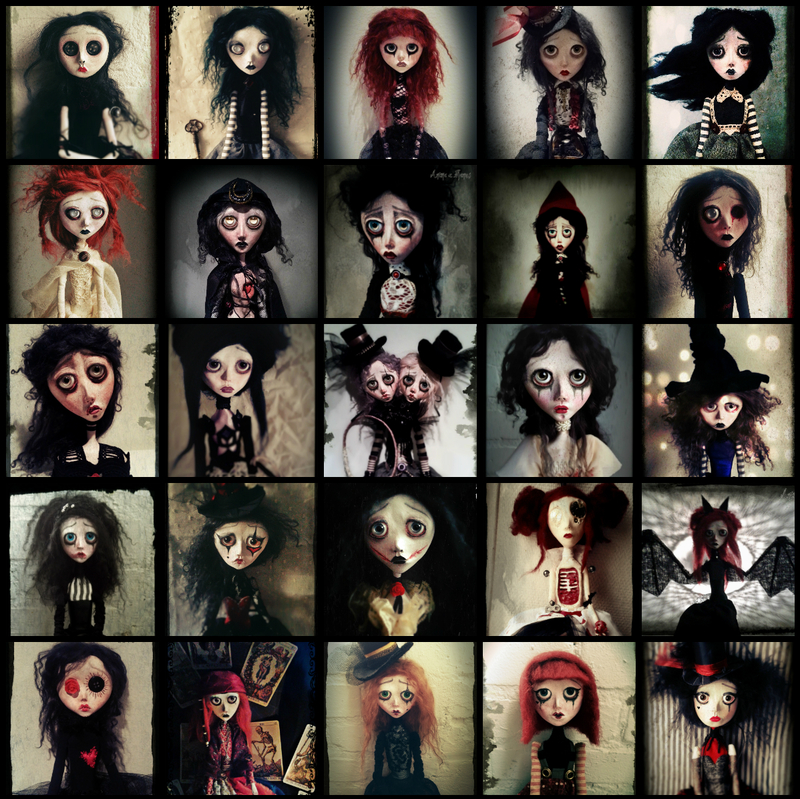 All of my dolls are 100% handmade and no moulds are ever used. My characters, mythological and folk tale creatures, dark silhouettes, dreadful witches, doomed ghosts and circus figures, blossom from a magical world, of a past and a future that has never existed. Secrets and stories are hidden within the expressions of my creatures, which are lifting the veil of our world, revealing the parallel universe of grotesque, peculiar, whimsical and anthropomorphic oddities - an entry into the unknown, the disorientating and the mentally deranging experiences. Click on 'PORTFOLIO' below to see a sample of past work.